The loss of KaKAO and RooKiehas had a negative impact on the KT Rolster team when it comes toskill level, but that does not mean they will fail to be highly competitive in the upcoming 2015 OGN Spring Split. The loss of KaKAO and RooKie has had a negative impact on the KT Rolster team when it comes to skill level, but that does not mean they will fail to be highly competitive in the upcoming 2015 OGN Spring Split. In the recent Spring Preseason tournament, KT finished equal 3rd and although it may not have been the result they were looking for, it appeared that their top laner Ssumday was the key to their success. Ssumday played in 8 of KT Rolsters games during tournament and in 4 of those that were won by KT, Ssumday finished with 23 kills, 4 deaths and 33 assists (23-4-33) overall. This may only be the scores for their winning games but it does show that KT is on top of their game when Ssumday is. Lets take a look at the games. In Game 1, Ssumday picks Gragas followed by CuVee selecting Mundo. Although both get ganks, no one has the edge by the end of the laning phase. Even with a good early start, Eve on Lee Sin was too good for KT in the end. Ssumday ended the game 3/4/3 with 340 cs, 66 more than CuVee. His Gragas was very lack luster with multiple missed ultimates and poor decision making when it came to teleports. Game 2 was a very different story however. Ssumday picks Renekton into CuVee’s Rumble and proceeds to wreck havok. He does made the mistake of face checking a brush and pays with his life early on but other than that, Ssumday had a very good game. He destroyed CuVee in CS throughout the whole game and was the difference in a crucial teamfight at baron. He finished the match 7/1/5 with 489 CS. 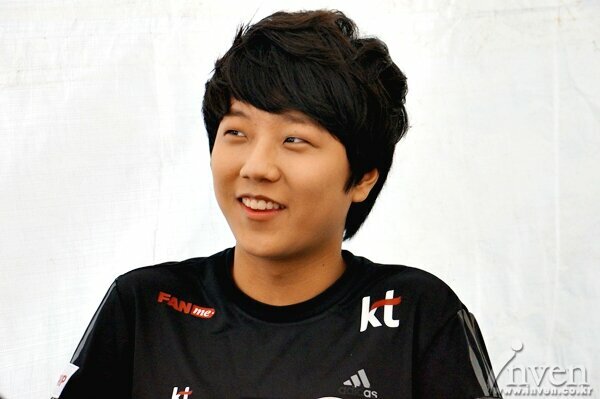 Game 1, Ssumday picks Kassadin in to MaRin’s well respected Rumble. The early game results in no kills for either team but Ssumday manages to remain on par with MaRin. During mid game and towards the late game, Ssumday begins to split push effectively and manages to be where his team needs him at all times. A excellent teleport flank allows him to take Easyhoon out of the fight and destroy the rest of SKT to give KT Rolster the win. Ssumday last picks Kassadin into Impact’s Maokai for Game 2. The lane swap leaves Ssumday with a CS advantage on Impact and a nice teleport at 12 minutes leaves him 1/1/1 but Bengi secures dragon before he can get there. The game remains even until KT make a poor decision to engage with their team out of position to give the game to SKT. Overall, an average game from Ssumday but yet again, poor shot calling cost KT the game. This set was the curse of Lissandra. Game 1, Ssumday picks Maokai in Lissandra played by Shy. Throughout the game, Ssumday secures some great kills through his use of Twisted Advance (W), particularly to stop Shy’s Glacial Path (E). In a crucial team fight at the 25th minute, Ssumday zones Shy and Madlife from the action and takes 3 kills putting him at 4/0/5 and gives his team a commanding lead. He ends the game 4/0/11. Game 2 saw a abysmal Lissandra game from Ssumday. After giving a early solo kill to Shy’s Kayle, he continued to make some terrible mistakes and Shy’s split push proceeded to dominate KT. HUYA’s Smeb picks Rumble followed by a last pick Renekton from Ssumday in Game 1. A poor mistake by GorillA gives Ssumday a double kill at only 5 minutes in. Even with another kill shortly after, Ssumday fails to make an impact until a nice re-engage after dragon. The fight narrowly goes into HUYA’s favour and so does the game. Game 2 saw the same lane matchup. This time, Ssumday built offensive first rather than a tanky start and it helped him get a nice advantage over Smeb. He may have not been amazing, but he did his job in shutting down the Rumble and was always there for fights to help KT win the 2nd game. KT Rolster have their strength and weaknesses, just like every other team in OGN, but it seems that whenever Ssumday performs, so does KT. The main problem Ssumday has is consistency. He has games where he is the star of the team but others when he plays poorly. There is a lot of pressure on Ssumday but KT can’t rely on one player to just win them games when he is very unpredictable.